A little more than one month from now, the Metro Expo Line’s final portion will open for business, making it possible to take trains from the far eastern portions of Los Angeles County to the often-crowded beach in Santa Monica. This will come barely two months after a new section of Metro’s Gold Line opened, allowing a simple, cheap 31-mile jaunt from downtown Los Angeles to Azusa. Meanwhile, in Sonoma and Marin counties, test trains are running on another light rail line, between Santa Rosa and San Rafael, with high hopes of relieving some of the heavy traffic on parallel route U.S. 101. Barely any protests have afflicted any of these projects, which together will have cost many billions of dollars. Meanwhile, protests are vocal and persistent wherever the state’s High Speed Rail Authority plans to build bullet train tracks, bridges or stations, even where it plans to share rights-of-way with other trains, as on its planned course on the San Francisco Peninsula. 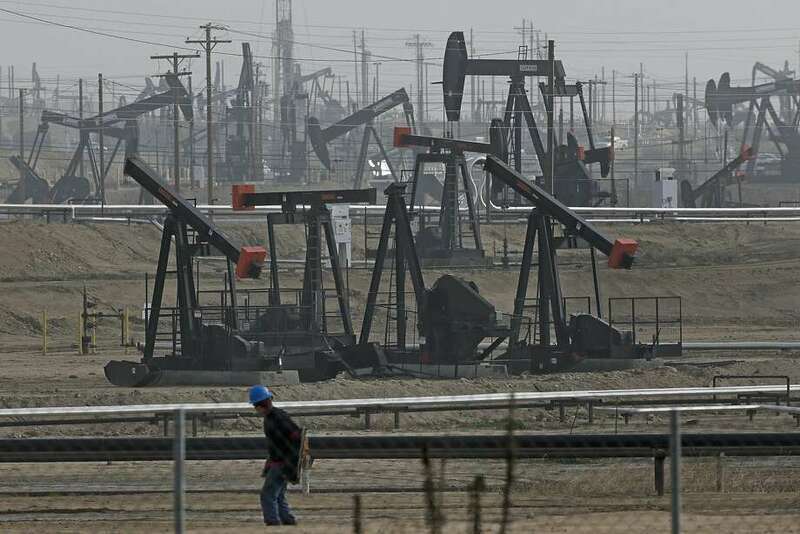 There’s also massive resistance to a plan for running up to five freight trains weekly through the East Bay area and Monterey County to a Phillips 66 oil refinery in Santa Maria, which supplies much of the Central Coast. These trains would bring crude oil to the refinery, something Houston-based ConocoPhillips insists is needed because of declines in production of California crude oil. Oil trains would run from the Carquinez Strait near Benicia through much of the East Bay, raising fears of derailments and hazardous waste problems in populous areas. So far this year, there have been at least three derailments of oil trains in other parts of the nation, with hundreds of temporary evacuations resulting. Another train derailed only last month in the East Bay. Loud as those protests are, they lack the potency of the opposition to the plans of the High Speed Rail Authority, headed by former Pacific Gas & Electric executive Dan Richard, who also spent years as an aide to Gov. Jerry Brown. The most prominent current anti-HSR push is a proposed November ballot initiative sponsored by Republican state Sen. Bob Huff of San Dimas and state Board of Equalization member George Runner, which seeks to switch almost $10 billion in remaining, unsold, bonds from the bullet train to water projects, including new reservoirs and desalination plants. That initiative, which appears likely to make the ballot, is in large part the result of the High Speed Rail Authority’s insistence on a route that makes no sense — meandering north from Los Angeles through the Antelope Valley, then west through the Mojave Desert to Bakersfield before turning north again for a run past and through farms and towns in the Central Valley. When it’s done with all that, the bullet train’s projected path would turn west again over the Pacheco Pass to Gilroy and then veer north to San Jose before heading up the Peninsula along existing CalTrain routes to San Francisco. It’s a convoluted route that — if built out — will add at least half an hour of travel time to a much simpler route that was available: Heading almost straight north from the Bakersfield area along the existing Interstate 5 right-of-way, where plenty of median land is available for most of the run. Rather than cutting over the Pacheco Pass, it would be far simpler to continue a little farther north to the windswept Altamont Pass, where a turn west could quickly lead to a link with the Bay Area Rapid Transit System and special BART express trains to San Francisco. That route would cost untold billions of dollars less and be far more direct and faster. But the illogical High Speed Rail Authority opted for the least sensible, most costly route, inviting the lawsuits and public outcries that have now set its timetable back by at least three years. The Huff-Runner measure might just make it extinct. The difference between the fates of the light rail projects and this ultra-heavy rail couldn’t be clearer: Because the light rail systems heeded where potential passengers want to go and chose direct, non-controversial routes, they are being completed on time, or close. Meanwhile, the bullet train and the old train plans might just pay the price for making little or no sense and/or wasting money: Extinction. NORTHRIDGE >> When dozens of freight and passenger trains whoosh each day past homes in Northridge, curtains are sucked through open windows and nail heads sometimes lifted from floors, residents say. And that happens from just one railroad track. Now residents along the San Fernando Valley railroad are rattled by plans for a second track running from Van Nuys to Chatsworth. They say the double track would move the trains much closer to their backyards, diminishing property values while increasing noise, vibration and the chance of a dangerous derailment or toxic spill. The Los Angeles County Metropolitan Transportation Authority has long planned to lay a second track across the northwest San Fernando Valley rail corridor. But momentum on the project, which had been scheduled to break ground next year, was slowed when newly appointed Metro CEO Phillip Washington said he would seek more community input and the results of a noise and vibration study requested by residents. The Raymer to Bernson Double Track Project, formally proposed in 2011, would add 6.4 miles of new rails between Woodley and De Soto avenues, allowing Metrolink, Amtrak and Union Pacific trains to share a continuous rail corridor across Los Angeles County and beyond. The $104 million project, to be paid for by voter-approved Measure R and Proposition 1B transit funds, would include upgrades to traffic controls, grade crossings and roads and bridges along the rail route, while rebuilding the Northridge Metrolink Station to serve an expected boost in passengers. By adding a second track, Metro officials say, freight and passenger trains that now sit with their engines idling waiting for trains to pass would operate more efficiently, creating less smog. They say a double track would also promote rail safety, reliability and on-time performance. This summer, however, residents of Sherwood Forest caught wind of the double-track plan they say double-crossed the thousands who live along the route by speeding ahead without community input or any state or federal environmental impact reviews. While public officials and some neighborhood councils were brought up to date, residents living by the railroad tracks were not, they say. So meetings with Metro were called over the summer, with hundreds turning out in opposition. A Citizens Against Double Track Steering Committee coalition was formed. More than 1,000 residents have signed a petition to spike the project. A protest by the Northridge track last week drew nearly 20 red-clad residents who brandished signs from “Too close to homes = unsafe” to “Destroy property values.” They said the number of trains has grown from up to eight each day 30 years ago to up to three dozen, with more capacity expected with a double track. Three trains, including a 95-car freight, passed within an hour during the protest. Meanwhile, elected officials from Los Angeles to Washington have voiced support for residents’ opposition. In August, Councilman Mitch Englander called on Metro to explain its reasons for a new track, urging the agency to address local concerns about the environmental review process. County Supervisor Sheila Kuehl, a Metro board member whose district includes the proposed double track, has joined residents with questions about public safety. “I have some concerns regarding double tracking in residential areas,” she said last week in a statement. “If Metro decides to move forward with (a) second phase, I will request a full environmental review. Congressman Brad Sherman has also weighed in, saying he shares the concerns of Kuehl and residents affected by trains passing more closely to their homes. He said the federal National Environmental Policy Act requires a formal environmental review if the proposed rail project could result in a change in “noise sources” within homes, schools and parks. Metro is now conducting a preliminary noise study. A Metro town hall meeting that was scheduled to take place today to answer more than a hundred questions from residents was pushed back to mid-December, a Metro spokesman said, or early January to accommodate for the holidays. Gonzales, the Metro spokesman, admitted the agency had “fallen down on the job” on community outreach but would make it right. “The decision will be made according to what’s right, for not only the local community, but the transportation system as a whole,” he said. “Their needs, desires will be taken into account. Residents said the only known incident along the line was a derailment during the 1994 Northridge earthquake and that seismic safety precludes a second track. They questioned the need for a second track when Metrolink ridership has dropped more than 9 percent since 2008 — from 45,443 daily boardings to 41,248, according to a recent study — with some passenger cars nearly empty. They questioned a “track shift” they said would force trains to cross over from a new double track north of the current rails to new rails laid to the south, creating another hazard. But there will be no track switch, Metro officials say. They also questioned the safety of moving rails closer to their homes that carry explosive crude oil trains. Two years ago, an oil train derailed in Lac-Megantic, Quebec, with a resulting explosion that killed 47 and burned 30 buildings. Last summer, the Los Angeles City Council passed a motion urging a San Luis Obispo Planning Commission to block a proposed Phillips 66 refinery expansion that could send five 1.4-mile-long oil trains a week into Los Angeles through the San Fernando Valley. If a crude-bearing train were to derail in the highly populated Valley, a blast ratio of 1,000 feet could kill 3,000 people, residents say. “When they started this (double track), they essentially cheated our neighborhood out of an environmental impact report,” said Michael Rissi, co-chairman of the steering committee to fight a second track. “We want an EIR.